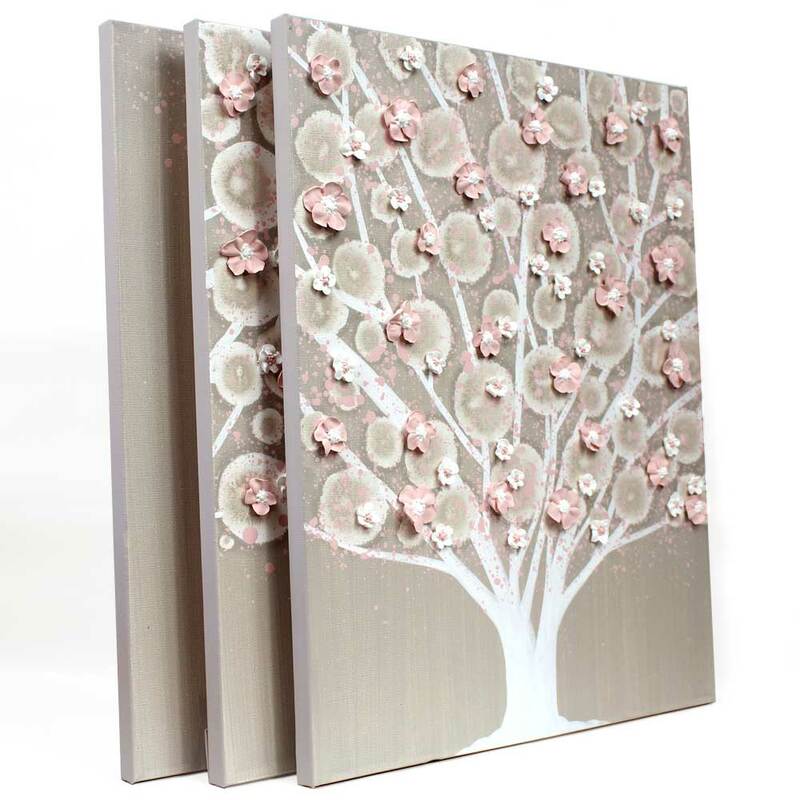 It takes up to 2 weeks to create this painting before it is ready to ship. 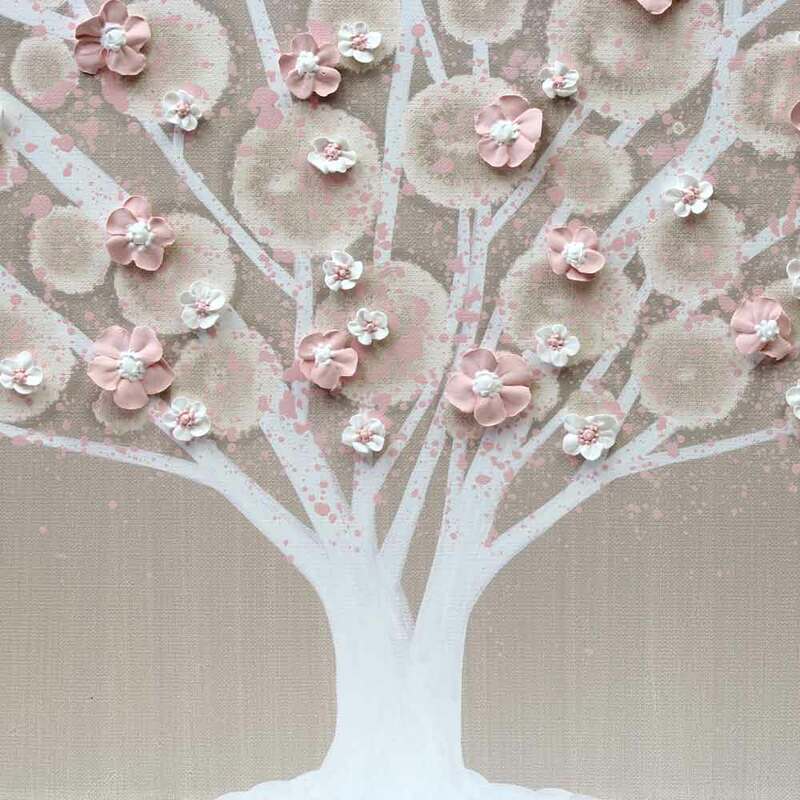 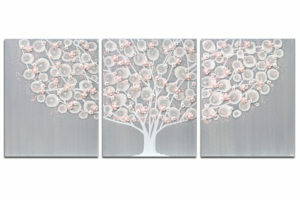 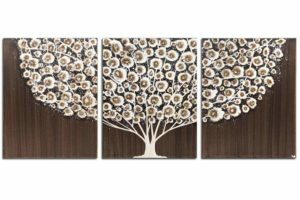 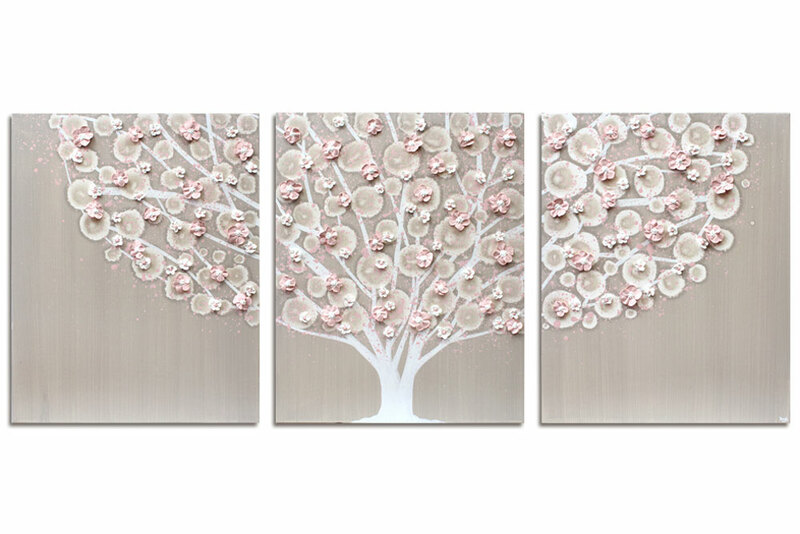 Add this large tree art as a focal point in your French gray and pink nursery. 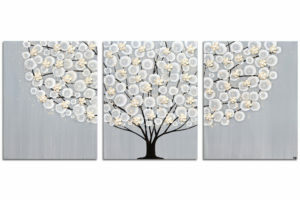 The three canvases hang as one wall art. 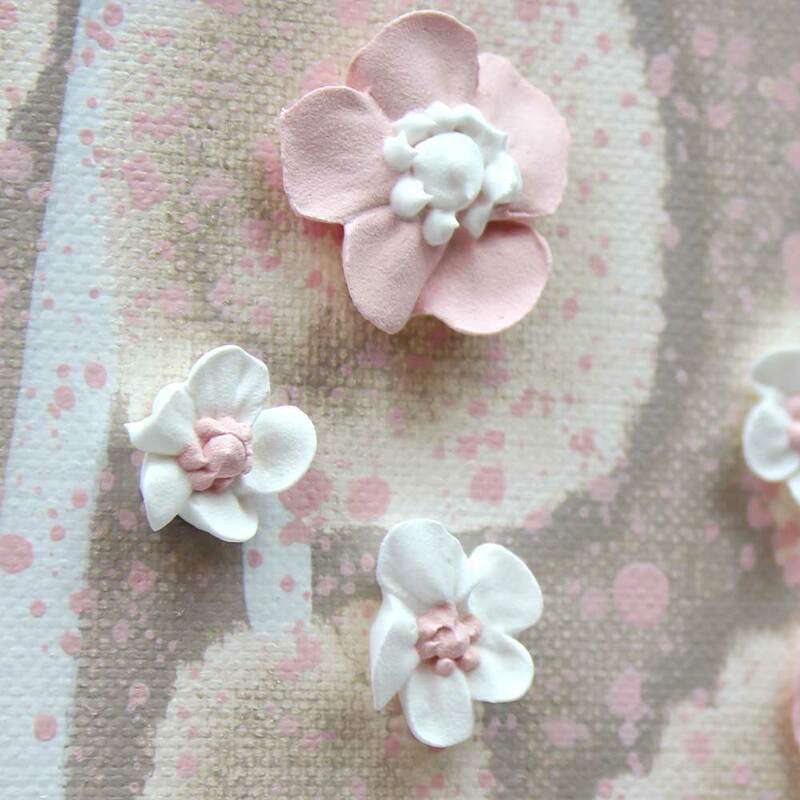 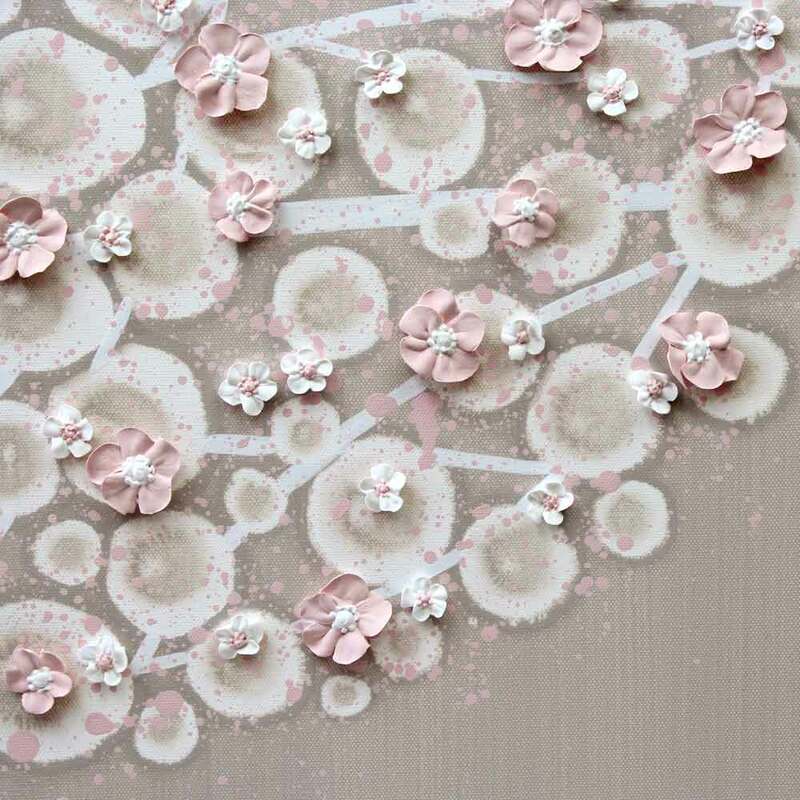 Take a closer look at the hand-sculpted apple blossoms in the tree top. 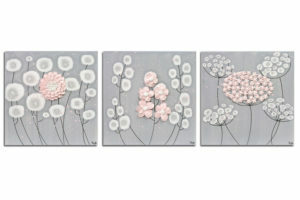 Coordinates well with white or French gray nursery furniture finishes.